It's gonna be an exciting week ahead as we finally share more about a collaboration that we have in the wraps with @bellywellyjelly and @klooktravel_sg! Some of you might have caught glimpses of the team in Japan on social media! We even did a short live session on our socials to share some of the beautiful sights we saw while we were there. 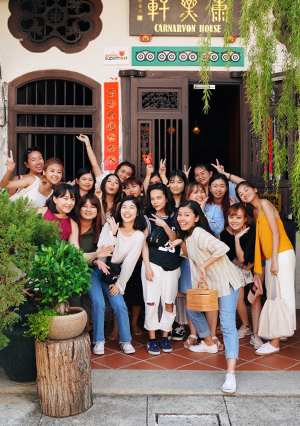 For our trip, we liaised with Klook and had a seamless traveling experience, all thanks to the huge range of services and activities that they have available. First things first, we had to stay connected. Klook offers 4G SIM Cards and 4G WIFI devices for all you ladies travelling to Japan.With easy pick ups of the 4G SIM Card or device at all international airports in Japan, you can get connected the moment you land! So here goes - Beauty at its full bloom. It's sakura season and boy were we all mesmerised at the sight of rows and rows of cherry trees blooming away. If you are planning a trip to Osaka anytime soon, we highly recommend that you pick up an Osaka Amazing Pass. Not only will you get unlimited access to the public train service during the duration of the pass, you also get to enjoy free entry to 30 iconic Osaka sites! Here's one of Bel looking absolutely resplendent in our upcoming Darina Floral Printed Top. Featuring our Ferenda Top and Cassel Asymmetrical Midi Skirt. The soft hues on this set complements the romantic florals at Osaka Castle Park perfectly. We spotted some locals doing their morning jogs and even having a picnic or what they call hanami, right under the sakura blossoms. You can even opt to take a boat around the castle moat for free with the Osaka Amazing Pass. You definitely can't miss out having Takoyaki in Osaka! We got ours from a roadside stall when we were walking down the park. It was drizzling slightly then and these helped to warm us up a little as we huddled under the tent to shield ourselves from the rain. And when the sun came out to play, we had to snap our OTDs! Both Bree and Bel are wearing our Cerinda Buttoned Pants in Forest. It is a classic staple that every lady should have in their wardrobe simply because it is SO easy to match with all the different tops that you may have. Another highlight of our trip was catching this gorgeous sunset over at Umeda Sky Building. For all of you who are getting the Osaka Amazing Pass, you get to access this for free till 6pm daily. The usual entry fee would set you back by 1,500 yen so that's quite some savings over there. It was pretty cold at night during the period which we were in Japan. Some nights saw single digit temperatures. So you can imagine our happiness when we finally found a bowl of piping hot udon topped off with tempura sides along the streets of Kuromon Ichiba Market. Kuromon Ichiba is a 3 minute walk from Nipponbashi Subway Station (which is covered if you choose to travel with the Osaka Amazing Pass)! It was quite a short trip for our team but Osaka definitely left an impression on us with their rich culture, variety of food and activities available for you to experience. If you ladies are planning a trip there or just any upcoming vacation, opt for a seamless traveling experience when you make your bookings through Klook. 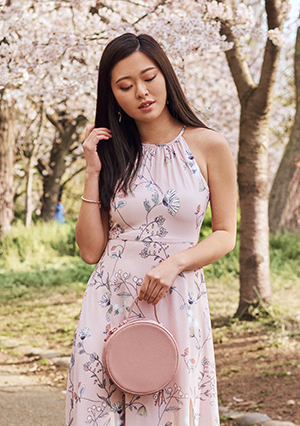 Exclusively for all of you, here’s a code to enjoy $10 off* your first purchase with Klook: <NEWTCL>. Promo ends 30/6/2019 so time to put your travel plans into action today!